Students in England are being promised the option of “accelerated” two-year degree courses, saving 20% on tuition fees compared with a three-year course. Universities Minister Sam Gyimah has confirmed plans for universities to be able to charge higher fees for shorter, more intensive courses. It would mean paying about £5,500 less than for a three-year course – which would mean about £11,000 per year. But raising annual fees above £9,250 would require Parliamentary approval. 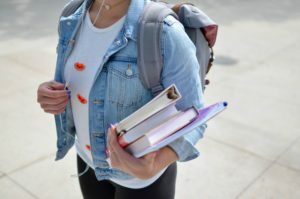 The government wants to encourage more flexible ways of studying – in particular as a way of reversing the decline in the numbers of mature students taking degrees. First, if a student can attain a degree with two years of £11,000 (i.e. £22,000) tuition fees then why is this not possible over three years? Surely the same amount of teaching is required. And the same amount of assessment/examination? Accommodation costs don’t come into it. Second, what’s in this for the universities? A three year course attracts up to three times £9,250 tuition fees. Or £27,750. So at first glance, it looks like they are doing themselves out of £5,750. However the two year course is aimed at more mature students, which opens up possibilities for more applicants. Even school leavers might be attracted to the idea. So the demand side won’t dry up. Universities could also relax entry requirements to increase supply. A university simply has a higher throughput of students, with some paying £11,000 per year. So this plan attracts more money for universities. Finally, who loses? Students opting for two year courses will pay lower total tuition fees and consequently owe less on their loans. Universities will not suffer either. But with more students being funded, and at higher annual fees, we can expect a rise in total lending to students. The government’s student loan liability consequently rises. Given that much of the student lending is unlikely to be repaid, this sum falls onto the taxpayer. So the student gets a (slightly) better deal. The university has higher revenues. But the government and consequently the taxpayer loses. No wonder the universities like it. Unsurprisingly, I am not impressed. I have written about the student fee rip-off before. Two year courses are a great idea but an even better idea would be to offer the same financial deal to three year students. Why can’t they pay £7,333 tuition fees per year, if that’s what the teaching actually costs? In fact it probably costs a lot less than that still. Universities treat undergraduates and their government-underwritten funding as a a bottomless well. There is no transparency as to how these funds are spent, and it’s likely that universities are cross-subsidising other costs out of this income. The government should prioritise a review of the whole undergraduate ecosystem, ensuring a better deal for students and taxpayers. If universities then say that they will have to cut research or other activities, then let that be another conversation, rather than obscuring those costs behind smoke and mirrors.